Flooders Gallery exhibits and sells hand carved and sculpted furniture and furnishings by renowned artist and craftsman Ron Noble. 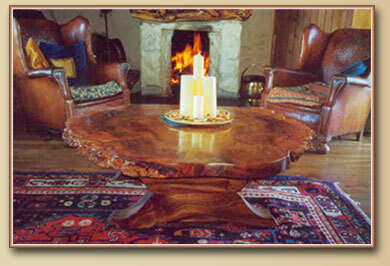 Particularly in demand are the coffee tables that are mainly worked from burr (burl) elm and spalted beech. 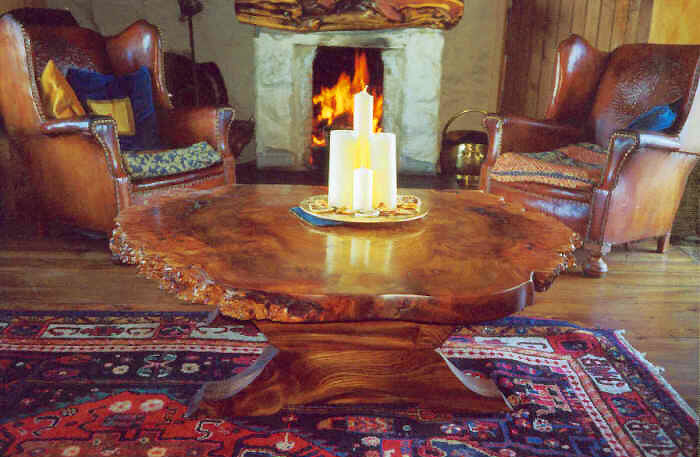 Amongst other items available are dining tables, chairs, burr wood bowls, traditional wooden chests and settles. Much of the wood is more than 200 years old. Other native and exotic woods are also used in the making of these and the unique wooden mushrooms, fruit and burl wood bowls. Flooders Gallery also boasts an impressive exhibit of original paintings of Scottish landscapes, seascapes, native flowers and pastoral scenes in acrylic and mixed media by Scottish painter Karin Lamont.